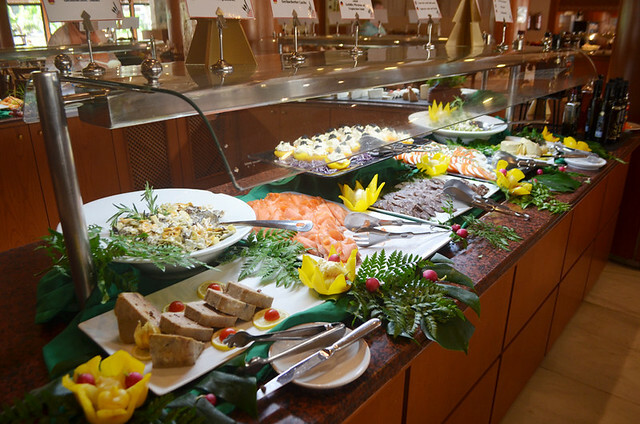 What’s your view of buffet food in hotels and restaurants? A) Troughs of mediocre food designed to feed holidaymakers as cheaply and as quickly as possible. B) A way to be able to try a variety of dishes at the one sitting. C) Simply something to be endured if staying half board at a resort hotel. In Arrabida in Portugal, where we’ve been helping design a new Slow Travel holiday for UK specialists Inntravel, there’s a rather elegant and very popular restaurant frequented predominantly by locals because it has a reputation for serving high quality traditional Portuguese cuisine. The food is served buffet style. Basically, buffets come with multi-personalities. Some are surprisingly pleasing, offering feasts of nicely cooked and imaginatively presented food. Others fall into category A above, whilst a significant amount deliver an inoffensive, middle of the road, dining experience. We’ve lost count of the number of hotel buffets we’ve tried on Tenerife. The okay ones melt into a blur, difficult to distinguish one from another. However, the really good ones stand out… as do ones which had me struggling to choose anything which looked remotely appetising. These are Ten Tenerife hotels whose buffets stood out for one reason or another. 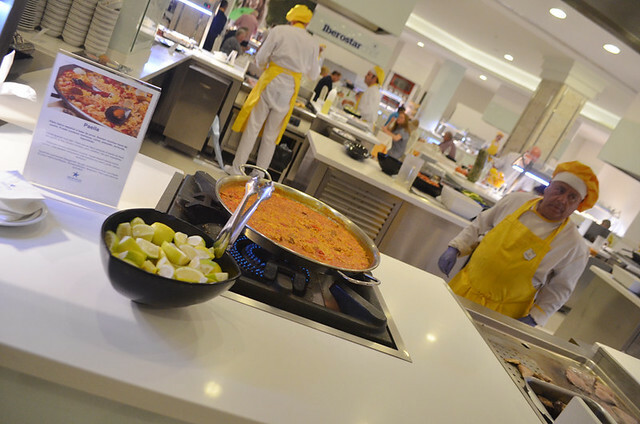 The GF Hotel Isabel in Costa Adeje gets a mention as it rebooted my view of hotel buffets as being able to have a personality which was more than simply a homogeneous collection of dishes. During a hot August the hotel was filled more with Spanish families than British ones. What should have been my sort of nightmare (a hotel buffet and a dining room packed with children) turned out to be surprisingly enjoyable. The food was well cooked and included an appetising mix of international and Spanish/Canarian fare. Another GF hotel worthy of mention for similar reasons to above is the Adeje Gran Hotel, also in Costa Adeje. We felt it had a good selection of Spanish dishes on offer, something all Tenerife hotels should have but don’t. It also featured Canarian wines on its wine list which earned it a bonus point. A stand out was an extensive cheese selection. Ironically, shortly after we visited I read a couple of reviews from people who’d stayed there at the same time which said the buffet selection was limited. 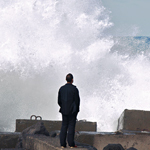 It taught me something about interpreting Tripadvisor reviews. What they really meant was there wasn’t a lot they fancied – more of a reflection on their gastronomic limitations than the hotel’s. Which leads me on to the Arona Gran Hotel in Los Cristianos. 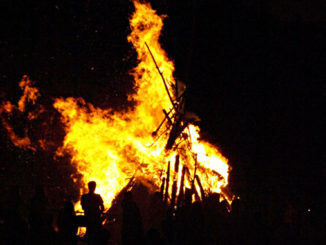 The first time we stayed at the hotel, and after reading rave reviews about its buffet, we were disappointed. It was the sort of inoffensive crowd-pleasing fare I’d associated with resort hotels throughout the 90s. There was virtually nothing which piqued my interest and the food itself was bland. The experience taught me another thing about Tripadvisor reviews. Unadventurous eaters can misleadingly ‘big up’ mediocre food. The hotel has had a revamp since then and we returned in November 2016 to discover a far more interesting looking and tasting array of dishes on offer. It had really upped its game, a complete culinary transformation. 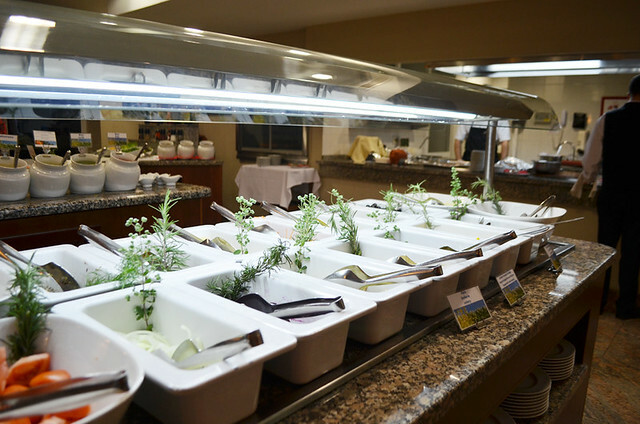 Some hotels offer a buffet ‘plus’ type dinner where there’s a selective range of dishes to choose from which are served in a conventional way. One which does this is the Hotel Colon Guanahani in Costa Adeje. However, as there was a Mexican themed night with lots of fun and funky looking Mexican inspired dishes on individual plates (something which gets a thumbs up given the hygiene habits of some folk) to choose from I stuck to the trad buffet and filled my plate with a colourful and mismatched selection of goodies. I’m a fan of hotel buffets which exhibit some imagination and creativity, the Guanahani is one of them. A hotel which likes its customers to enjoy to more of a restaurant-like dining experience although with a buffet element is the family run Tigaiga in Puerto de la Cruz. Starters are chosen from a buffet but main courses are served by waiters rather than scooped from trays by diners themselves. It’s system which works well – the food being freshly prepared to order – and makes dinner feel more elegant for it. This was one of the more genteel hotel Tenerife buffet dining experiences we’ve had. 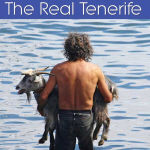 There are a handful of other Tenerife hotels which do similar. Some hotel chains are generally reliable when it comes to serving above average food. Iberostar fall into that category. 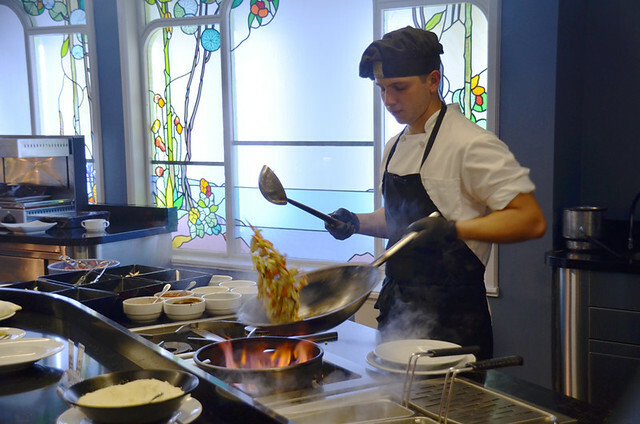 As well as being one of our favourite Tenerife hotels, the Hotel Grand Mencey in Santa Cruz is a centre of gastronomy, with top chefs occasionally doing their creative stuff at themed gourmet events. 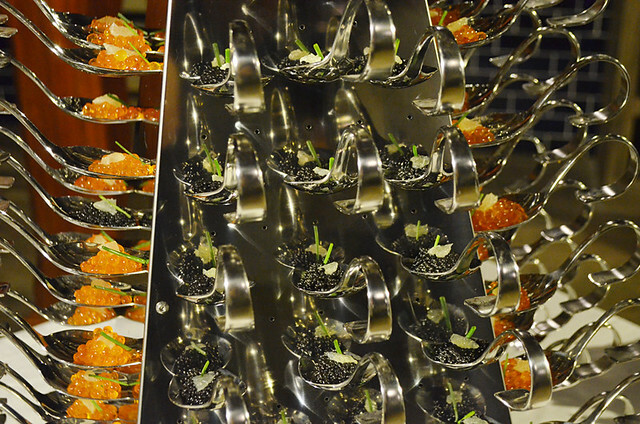 However, Iberostar’s resort hotels can hold their own when it comes to creative cuisine. We particularly enjoyed the spread at the Bouganville Playa in Costa Adeje. It was sparkling clean, more like the extension of a spotless kitchen; the food looked great; there were cuisines from various countries including Spain and China; plenty of chefs preparing dishes to order; and everything was clearly labelled, many having useful explanations. 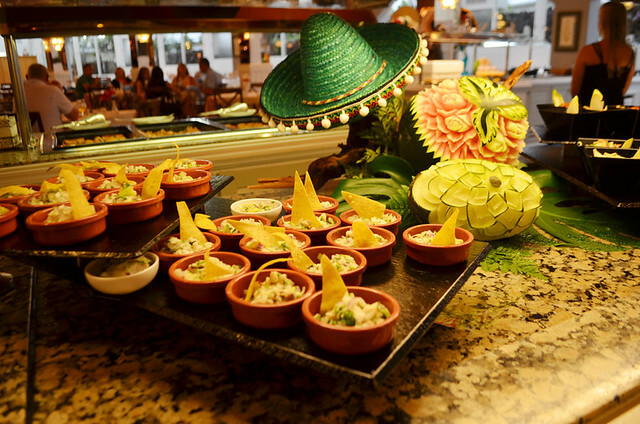 A similar experience was had at the Hotel Riu Palace, in the Del Duque area of Costa Adeje, where various Spanish influenced dishes were presented with wonderfully imaginative flair by an army of chefs. I was transfixed by one carving wafer thin slices from a leg of jamón Ibérico. It was a buffet which had me humming and hawing because I wanted to try so many of the things on offer. 5 star hotels are especially good at pulling out all the stops when it comes to their buffets. 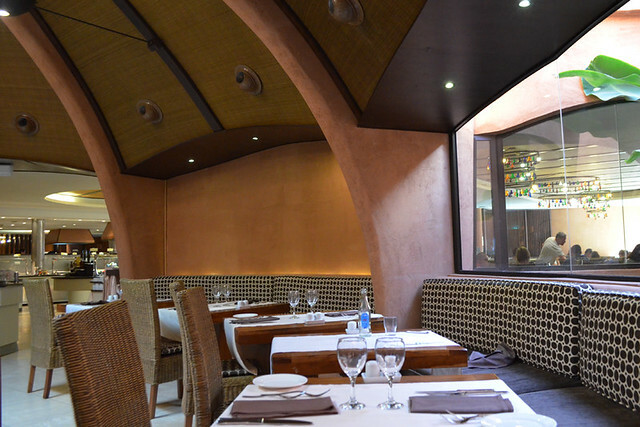 The Jardines de Nivaria in Costa Adeje has earned a gastronomic reputation thanks to its La Cupula restaurant. However, its buffet also exhibits dollops of creativity – from prawn rings to attractive, individually plated dishes and a health food section. Not all five star hotel buffets make the grade though. The Vincci Plantación del Sur failed to impress thanks to a chef who tried to pass of a limp bit of chicken which had been drizzled with garlic oil as the local speciality, Adeje garlic chicken. 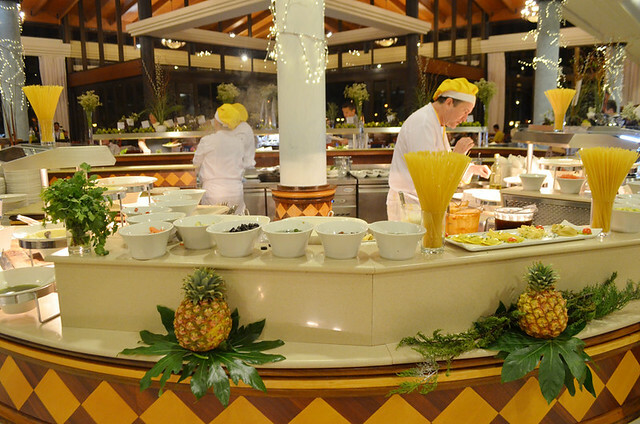 Our favourite Tenerife hotel buffet of all is the Hotel Anthelia, another Iberostar, located in Costa Adeje. 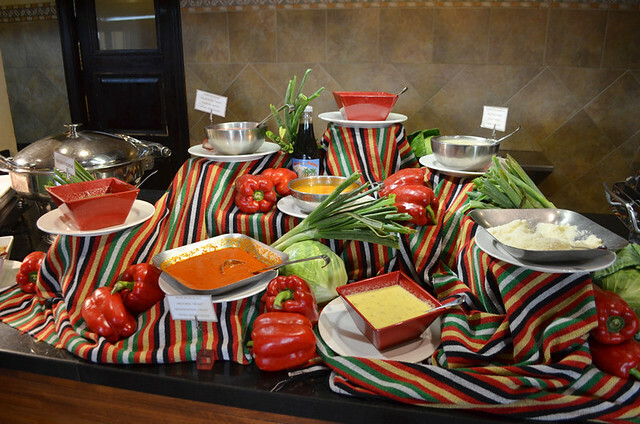 The dinner display looks fabulous with oodles of tempting, tastefully arranged dishes. Touches such as a dazzling selection of freshly prepared sushi and inventive, made to order pasta dishes whose tastes were a match for some authentically Italian restaurants we’ve eaten in, elevated their buffet into another league as far as we’re concerned. Outstanding. Although these are our pick of Tenerife hotel buffets which stood out, a list of favourite hotel restaurants would include quite different entries. So we’ll compile that one soon. 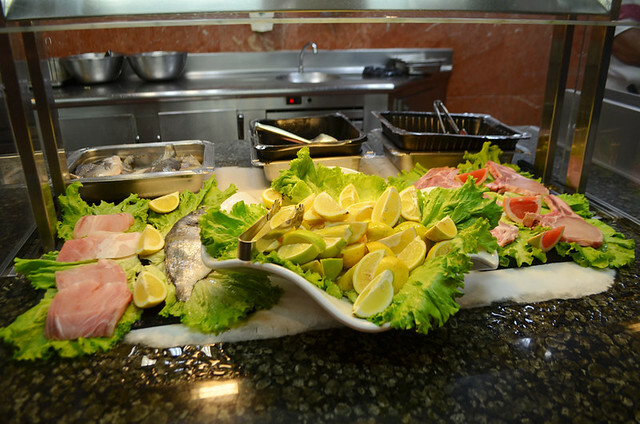 the Sol Arona-formerly Princess Dacil -in Los Cristianos serves a wonderful,deliciuos buffet nightly. Which of the mentioned hotels with great buffets are open for non-residents ? I think this could be a very interesting info. Hi Paul, it’s an interesting question, and something we’ve never thought about. But that’s only because unless staying half board in a hotel we wouldn’t eat at a hotel’s buffet simply because there are so many good value restaurants on the island serving traditional and contemporary cuisine and we’d always opt for one of those first. Sorry.